I'm writing this to share how today, in 2017, I'm preparing an creating my blog posts. 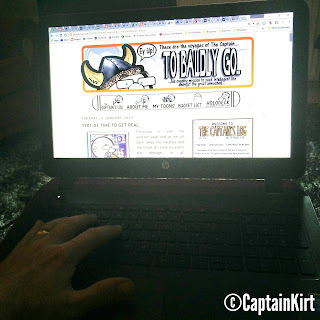 Ever since I got my first PDA many years ago (a Palm m100) I've been blogging from wherever I find myself. That is I use a device to make rough notes to expand on later. 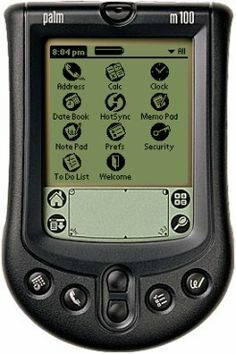 The Palm M100 - My first smart device. These days (obviously) I use my smartphone for notetaking. Indeed most of the creation tends to happen on a smartphone. 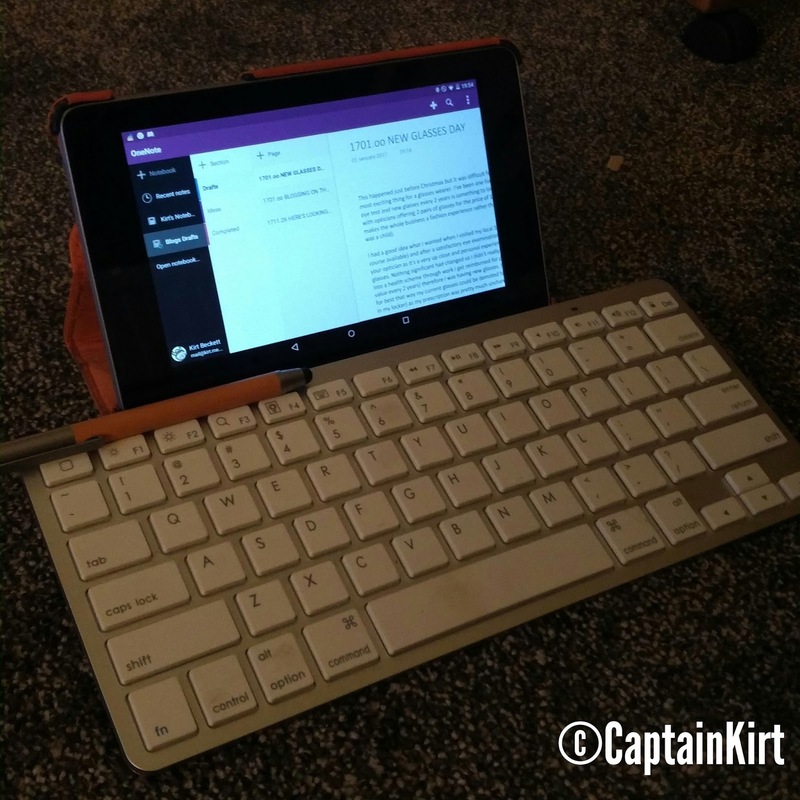 I also use my aged tablet (Nexus 7 2012) which I really need to upgrade and a recently acquired bluetooth keyboard. If I get chance I'll go the whole hog and pull out my laptop to finish off (rare). So with a multidevice eco-system I need a all syncing - all dancing app for managing my multiple notes. 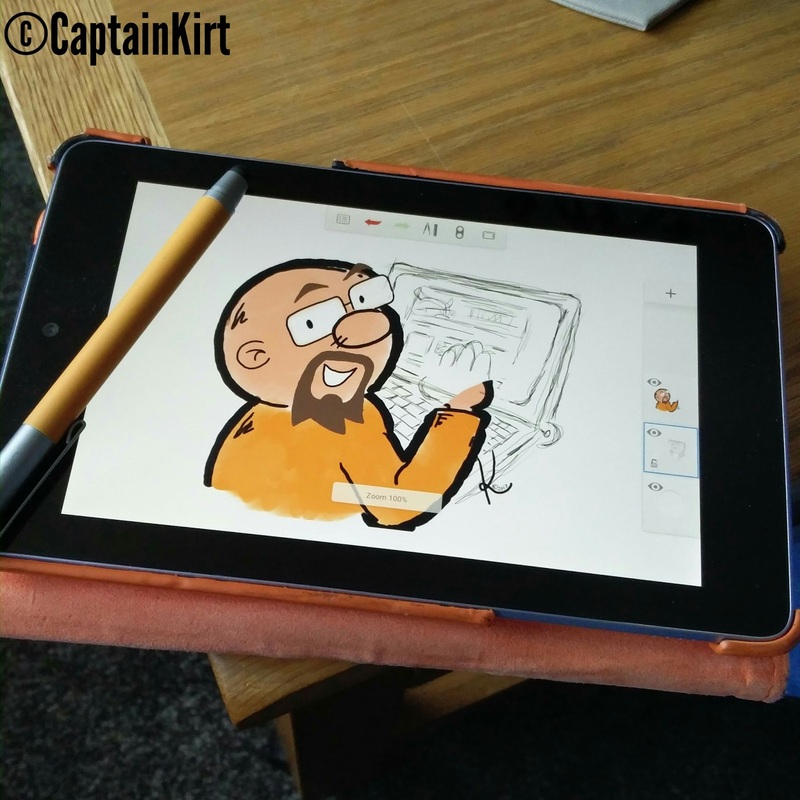 I used to use Evernote which I found to be the best of all I'd tried previously. But when I found that it wouldn't let me add a 3rd device without paying a fee I needed to find an alternative. There are many not taking apps out there but I wanted something as similar as possible to my Evernote experience. I found what I was looking for in the Microsoft camp with their OneNote app. Still allows me to organise my thoughts, drafts and work in progress and sync between all my devices (and even access online). Then there's the cartoon - an essential part of every post. 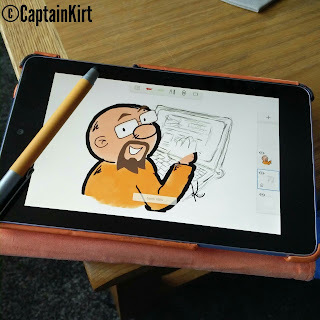 I do have a bank of reusable cartoons which are stored in Google Photos for easy access. But what if I need a fresh new drawing? Well the first thing I do is flesh out the drawing using Adobe Sketchbook on my tablet - this allows me to get the composition right before I move on. Then I port the sketch to Adobe Illustrator to clean up the lines and then onto Photoshop to add texture and background etc. It's then saved (in a couple of different formats) to Google Photos ready to be inserted into my post. If I need photos I try and make sure I take them myself, usually with my smartphone or camera. I can tidy the pic using Photoshop but if I'm away from the PC then I use the Aviary app to edit/clean the picture and Photolayers to watermark if necessary. The kink in the armour for a clean blogging experience is the fault of Google. I use Google Blogger as my preferred blogging platform. The Blogger mobile app is to put it bluntly, a load of crap. It's dangerous to compose with as posts are easily lost. I still use it but only as a conduit to get my text into draft if I'm actually composing whist away from my PC. It's all then put together on the Blogger platform, either on the laptop PC (preferred) or on a mobile browser. So that's it. That's how I put together a post. Do you blog on the go? What note app to use? Do you use your blogging platform's mobile app? Are there any specific devices that are essential for you?